Ok, so I just went ahead and made it just like the Alpha Delta DX-CC, which is a 40/20/10m with trapped 80m. 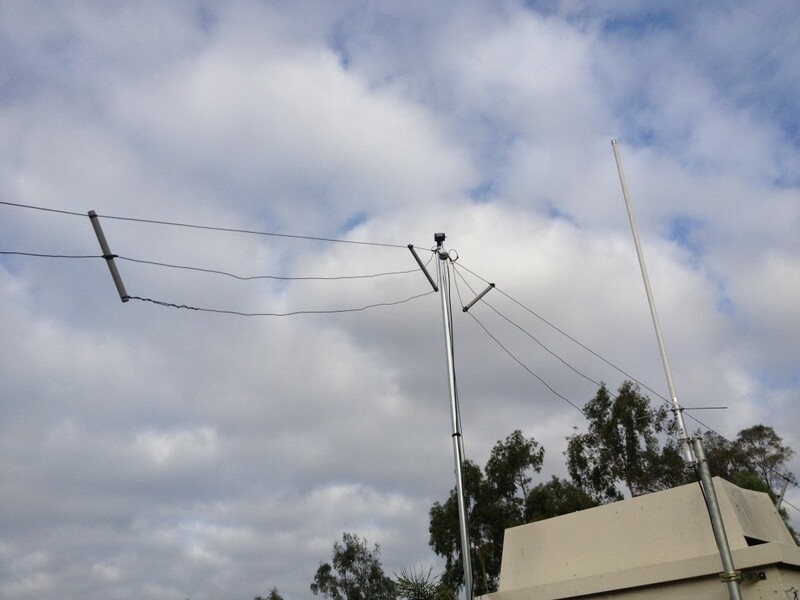 It is also resonate on 15m too. It is setup as a slightly sloped inverted-V. 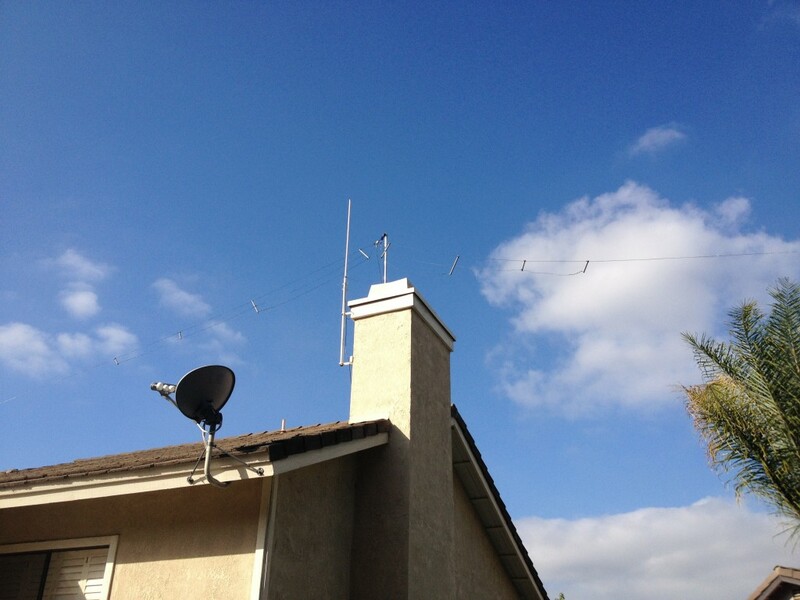 I installed a 10ft 1.25″ conduit as a mast on the chimney, and put a pulley on top so I can hoist up the antenna without to much trouble. It took me about 5 tries to get all the bands tuned. The 80m leg, from trap to end was 3′. which tuned to 3.72Mhz @ 1.0 SWR. 15m was also resonate at 20.9Mhz @1.2SWR. 80m is very narrow tuning, SWR goes up to 6 when moving +/- 100Khz, but I have a LDG Z11 Pro II tuner for the rest of the 80m band.